I have a new domain and a revamped site! Go to CharnelHouse.org for updates, news, and everything else! 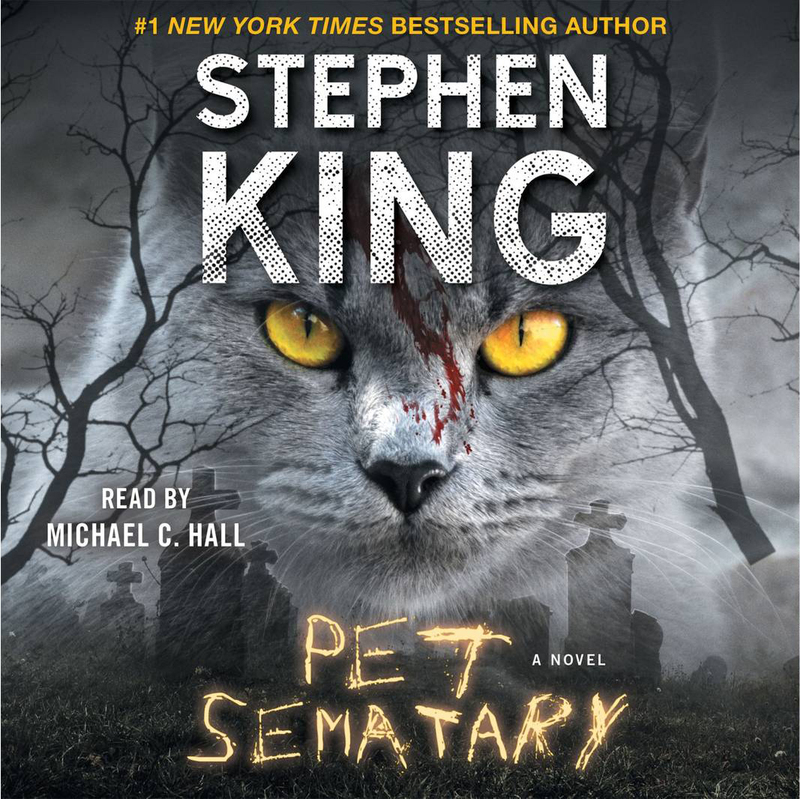 Until now, no commercial audiobook of Pet Sematary has been available. In 1983, Merwin Smith did a recording for the Library of Congress, and in 1997, there was a dramatized version as a production of BBC Radio (neither were that successful). Part of the reason for the delay seems to have been that Doubleday, who owned the rights until recently, did not want to produce an audiobook. Now that Simon & Schuster has the rights to most of King's extensive back catalog, we're now getting stuff like this. It's all pretty exciting! "Squad D," possibly the most famous "lost" Stephen King story, will finally be published as part of Cemetery Dance's Shivers VII. Holy crap. Yes, I read Sleeping Beauties. Yes, I loved it. But when I finished it, real life took over and I couldn't get my head around a review. It's been so long now that I want to re-read it before I put my thoughts down. There are a few new books with work of mine coming! Lilja's Library: The World of Stephen King is out now, featuring my short story "Drawn to the Flame"; "King Since Scribner, an essay about King's post-1998 work, will soon be available in Reading Stephen King; and "The Stephen King Immersion Phenomenon," an essay I wrote for a book I can't talk about yet. I am also going to be moving this site from the moribund halls of Tripod to the new and shiny world of Squarespace over the next few whenevers. I will have a new domain (charnelhouse.org) and hopefully it will look better and be easier to navigate. That's it for today! I'll let you know when the move is final! Here Comes the Avon Lady! Dept. Friends: Sleeping Beauties is now out! It's IMMENSE and already absorbing. A review to come! Hooray new King(s)! You Say It's Your Birthday! Dept STEPHEN KING IS 70 TODAY! HOORAY! Sometimes I think it's weird that I've been reading (and loving, and researching) Stephen King for 30 years. I read Pet Sematary in a dark attic during a thunderstorm when I was twelve. And to think that King was already publishing novels for fourteen years before then. It's been an amazing career, and with Sleeping Beauties, it absolutely continues. Thank you so much, Mr. King! Here's to another 70 years! Float On! Dept. I know we don't usually talk about films here in the House, but with It being my favorite novel of all time and the movie coming out to rave reviews and great box office, why not talk about it a little? This video essay I found by pop culture genius Kevin Maher takes a look at the motif of water in the original IT miniseries. It's pretty dang cool. Check it out at Daily Grind House! Anything you want to spill about The Outsider? Nope. Well, there�s a lot of things I want to say about that, but I can�t. It�s too cool to talk about right now. All I can say is it won�t be out in 2017 because I�ve got enough going on. More info as we get it! That Demon Life! Dept. My new article on the Dark Tower series, "Ka Like a Wheel, Time Like a Circle," is now up at Cemetery Dance Online. It's all part of Dark Tower Week! Check it out! We've Got Cover! Dept. We finally have cover art for Stephen King's second collaborative work this year, his first full novel written with his son, Owen. Sleeping Beauties hits online and brick and mortar stores on September 26! I'm pretty darn excited! RF Stands for Really Fantastic! Dept. My review of Gwendy's Button Box is up now! Heck yeah! I loved this story so much that I read it one sitting, something I've only ever done with one King book (Joyland) and two non-King books (the couldn't-be-more-different novels The Ratman's Notebooks and The Time-Traveler's Wife). This book is tops and you should pre-order it now! Button Button, King's Got the Button! Dept. BIG DAMN NEWS ALERT!!! Stephen King and Richard Chizmar's new novella, Gwendy's Button Box, is ready for preorder! Release date is May 30th, and before I get too deep into everything, here's the preorder link!!! Castle Rock has called Stephen King back home, but this time he�s bringing a friend. The author has teamed up with Cemetery Dance publisher and fellow horror scribe Richard Chizmar on a new novella called Gwendy�s Button Box, which returns to the small Maine town King said farewell to with a bang in 1991�s Needful Things. �There are three ways up to Castle View from the town of Castle Rock: Route 117, Pleasant Road, and the Suicide Stairs. Every day in the summer of 1974 twelve-year-old Gwendy Peterson has taken the stairs, which are held by strong (if time-rusted) iron bolts and zig-zag up the cliffside. Based on that timeline, Button Box would seem to predate all of King�s other Castle Rock stories except "The Body", since it is set roughly around the time that Johnny Smith, the wounded clairvoyant from The Dead Zone, would be emerging from his coma. It�ll be interesting to see if any familiar faces turn up. King has teamed up with other authors before, most notably Peter Straub on The Talisman and its sequel Black House. He has known and worked with Chizmar, whose most recent book was last fall�s short story collection A Long December, for many years, and Cemetery Dance Magazine frequently publishes his short fiction and has regular columns about his books and screen adaptations. The initial premise was King�s, then the two writers spent several weeks bouncing pages back and forth. The novella comes just as J.J. Abrams is revisiting Castle Rock for a new 10-episode Hulu series that will thread together a wide range of King�s stories, including It, Misery, Needful Things, and The Shining � although not all of the ones referenced in a teaser trailer had a major connection to the town. Is Gwendy�s Button Box a part of that...? Whew! That's a lot to take in! I'm quite intrigued by the word "palaver" here, and the appearance of a man in all black. Could this be THE Man in Black, of Dark Tower fame? If so, what an interesting way to connect King's smaller Castle Rock stories to the larger mythos of the Dark Tower series. In any event, we're getting what amounts to a longish story (or shortish novel), published by itself by Cemetery Dance! If collaboration is what it takes to get new Stephen King work to us, I'm all for it. Gwendy's Button Box comes out in late May, Sleeping Beauties comes out in October, and the whole year is finally looking full of King. Here's a look at the whole dustjacket. Review, as always, to come. I can't tell you the title yet. I can't tell you the plot synopsis. And I can't tell you publication details. But I can tell you that readers will soon be heading back to a small town in Maine called Castle Rock. 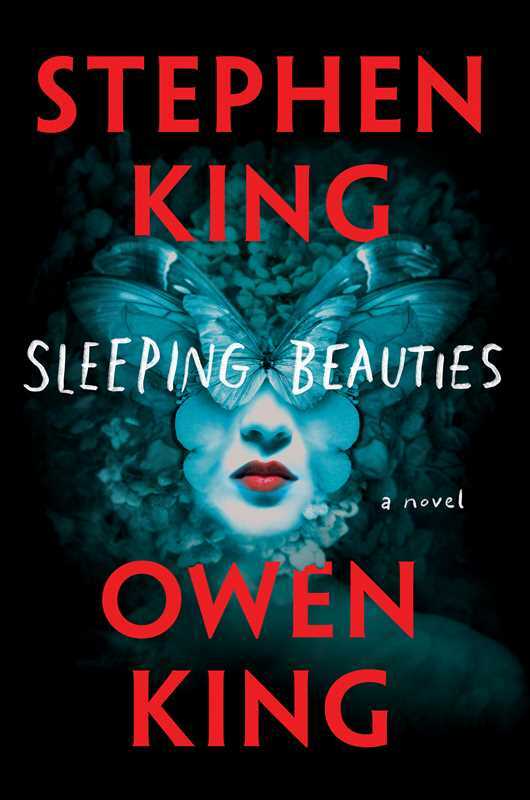 As my friend Lilja recently commented, this appears to be the year of King collaboration, with this novella coming, and the Stephen King/Owen King novel Sleeping Beauties arriving this fall. If these are anything like King's other collaborations with Peter Straub, Joe Hill, and Stewart O'Nan, we're in luck. I got flooded with retweets and FB forwards yesterday about a new series coming to Hulu called Castle Rock. 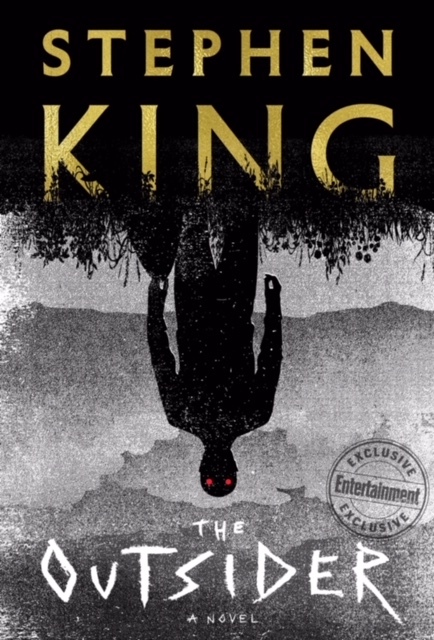 At first I thought it was a fan production, but further digging proved it the real deal: Stephen King and JJ Abrams are going to be collaborating on this new series that seems to connect King's many worlds into one cohesive narrative. There's a teaser trailer! The nitpicker in me wants to say that Danny Torrance's and Annie Wilkes' stories focused in Colorado, not Maine, and that 'Salem's Lot is its own town, and that Pennywise is from Derry, and in fact most of the connections listed here aren't Castle Rock at all ... but that's because I'm a curmudgeon and I also don't know what they're doing here. Either way, I'm intrigued. More information to come! The graphic novel adaptation of the classic horror anthology film written by Stephen King, with art by Bernie Wrightson! Now back in print: the graphic novel adaptation of Stephen King�s Creepshow, based on the 1982 horror anthology and cult classic film directed by George Romero (Night of the Living Dead, Dawn of the Dead)�and featuring stunning illustrations by the legendary Bernie Wrightson and cover art by the acclaimed Jack Kamen! A harrowing and darkly humorous tribute to the controversial and influential horror comics of the 1950s, Creepshow presents five sinister stories from the #1 New York Times bestselling author��Father�s Day,� �The Lonesome Death of Jordy Verrill,� �Something to Tide You Over,� �The Crate,� and �They�re Creeping Up on You� ... unforgettable tales of terror to haunt your days and nights! This is THRILLING news! It looks like we don't have a cover image yet (new cover? Jack Kamen, EC Comics vet who did the original cover in 1982, died in 2008. Will it be an original Wrightson? 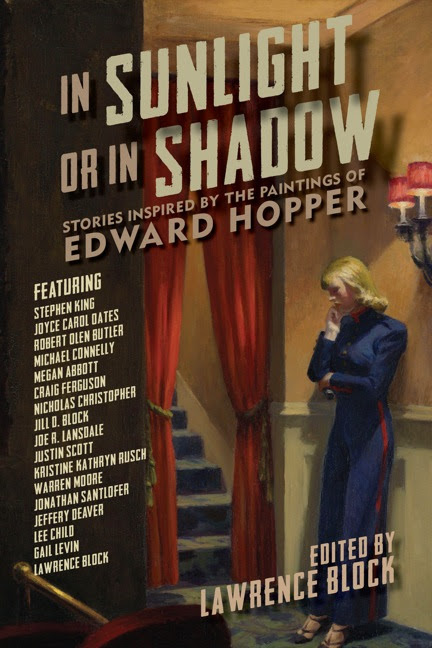 ), but we do have some interesting news from Stephen King Catalog about a brand new HARDCOVER edition! These copies are produced for advance special orders and only for our customers. Hardcover binding of the 2017 first Printing of the trade paperback edition. Signed on the end-paper by the artist Glenn Chadbourne. A Silk book mark is bound in. Hard cover binding is cloth. All foil stamping images copyright 2017, Glenn Chadbourne. A portion of the proceeds from the sale of this special King project is donated to Stephen Kings HAVEN FOUNDATION. Wow! A lot of information about this book, which I thought would be out of print forever! This is awesome! It looks like publication date will be May 9th, 2017, so even if we don't have any information about Sleeping Beauties yet, this will - heh heh - tide us over! Been Away Too Long! Dept. Okay, all, you caught me. I've been away from Charnel House for FAR too long. A lot of other stuff has come up in my life that ... well, it didn't PREVENT me from updating, but it did distract me. Also, the fact that King's output has slowed way down has been a cause for some of the stagnation. I apologize - it's way more about me than you! I hope you didn't miss King's two newest short stories, "Cookie Jar" (in the paperback edition of The Bazaar of Bad Dreams), and "The Music Room (in In Sunlight or In Shadow: Stories Inspired By the Paintings of Edward Hopper, edited by Lawrence Block..) I own this book, and it's fantastic, even beyond the King story (which is chilling in the best way). Lawrence Block is one of my other favorite writers, and I can't be rapturous enough about this collection. On a (slightly) personal note, I want to alert you to the new anthology edited by my good friend, Hans-Ake Lilja. 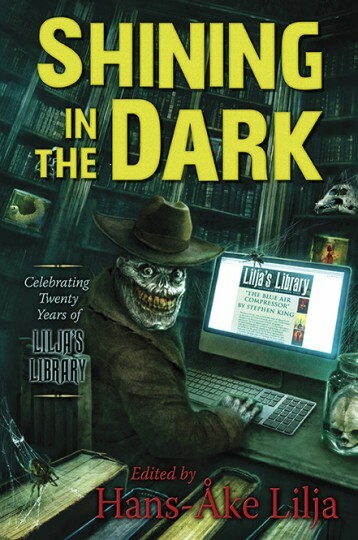 His website, Lilja's Library, has been around as long as Charnel House and covers all the news, not just the writing-related stuff that I tend toward. Recently, he compiled a fantastic anthology called Shining in the Dark, featuring stories by a plethora of fantastic horror writers. Stephen King's long out of print and never-collected tale, "The Blue Air Compressor," kicks off the collection, and it's weird and creepy and unsettling. In addition, your ol' pal Kev has a story in this one, a tale of Bradburian terror called "Drawn to the Flame." I hope you like it. Shining in the Dark is available in two states: signed limited hardcover and signed limited with slipcase. Both are available through Cemetery Dance, and both WILL sell out. Grab yours today for that special someone on the holidays! More to come. 2017 is going to be an interesting year for Charnel House, and I hope you're going to keep checking back to find out why! Glenn Chadbourne has been commissioned to create a complete line of covers for Stephen King's novels. Glenn Chadbourne, a major artist in the Stephen King world, is recognized by Stephen King readers from all over the world. His original art and books in association with Stephen King (The Dark Man, Secretary of Dreams volumes 1 & 2) are very popular. At the request of the Stephen King Catalog and Overlook Connection Bookstore and Press﻿ Mr. Chadbourne is creating original covers for current and past Stephen King novels. As of this posting he has created new covers for The Shining, Doctor Sleep, and now 'Salem's Lot. Each cover also features original content on the dust jacket flaps from such guests as Rocky Wood﻿, Dave Hinchberger, and Glenn Chadbourne﻿ has written "My Lot in Life" for the 'Salem's Lot cover. Check out the whole series so far at the StephenKingCatalog.com! These are awesome! The Stranger Things Keep Shining Through! Dept. Decider.com - the people who asked me to write reviews of the Hulu adaptation of 11.22.63 - asked me to write a Stranger Things "deep dive" through the eyes of a Stephen King fan. It's up now! Check it out!